Red Spot King Prawns are grooved prawns, that is they have a pair of parallel grooves running the length of the upper surface of the carapace. In Australian waters, Red Spot King Prawns are common from Shark Bay in Western Australia, along the northern Australian coast to Yeppoon in Queensland. They are also recorded from Lord Howe Island. In Western Australia, Red Spot King Prawns are found with sponges, soft corals, coarse sand or shell grit substrates, coral reefs and coral rubble. On the Queensland east coast they are rarely found more than 30km from coral reef systems. Through much of Queensland, Red Spot King Prawn juveniles inhabit coral reef lagoons in depths of 1-3 metres, yet in north-eastern Queensland the juveniles inhabit estuaries and reef tops. Adults inhabit inter-reef channels and adjacent waters in depths fro about 18m to 60m, often on sand-mud substrates. Red Spot king prawns have an extended spawning period between May and October. 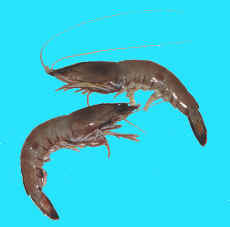 Not much information is available on the prawn's larval form and maximum age. The Red Spot King Prawn appears to be unusual in that, unlike some other prawns, they do not require estuarine or coastal environments for the successful completion of their life cycle. 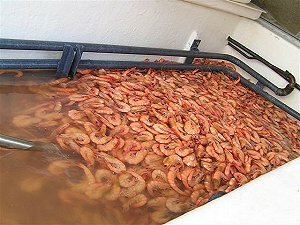 Commercial fishing for Red Spot King Prawns is primarily in the eastern Queensland part of its range. The main fishing area is between about Lucinda and Bowen on the central Queensland coast, over a 20-30 wide strip to the west of the Great Barrier Reef. Red Spot King Prawns are caught by demersal otter trawlers operating at night. The main fishing area is open water in depths of 40-60 metres in the vicinity of coral reefs. 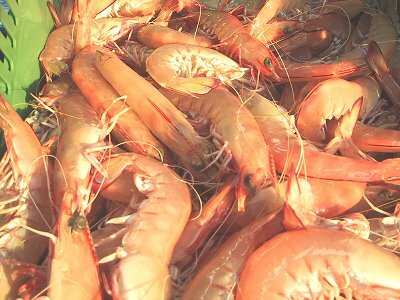 Exporters, Importers & Processors, Wholesale & Agents of Red Spot King Prawns. 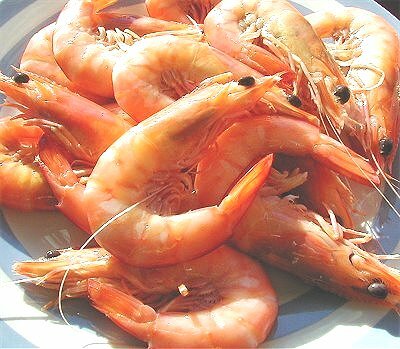 Sizes of Prawns - Prawns are graded according to the number of prawns per pound or per kilo. 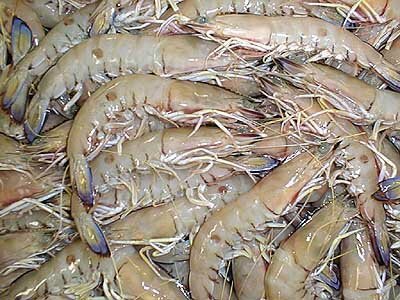 Australian Species Code 00 701923, Red Spot King Prawns are caught by demersal otter trawlers operating at night. The main fishing area is open water in depths of 40-60 metres in the vicinity of coral reefs.